A term that sounds like it should be related is best boy. No, this is not the ring bearer at the wedding. You have probably seen the term best boy if you stated after a movie to see the credits scroll by on the big screen. A best boy’s job is to assist the person in charge of fitting or repairing the electrical equipment – usually during the filming of a movie. So, that leads one to say, what is a gaffer? As best I can tell, a gaffer is the chief electrician on a motion picture or television production. In the theater, it may be a stagehand, especially one working on the stage floor. A grip or key grip on the other hand, is a term used in movies and television. The key grip is the general assistant who is available for shifting scenery, moving furniture, etc. Camel case or camelcase is a word that came up at lunch the other day. We were working on the Loveland 365 book, and it was decided that we do a list of websites. One of the committee said we should be sure it is in camel case format. The rest of us did not know what camelcase meant. It turns out I have been using camelcase my entire life. But first, here is the definition of camelcase. It is the practice of writing compound words/ phrases by joining all the words together sans spaces. Each words first letter is capitalized within the new joined phrase. 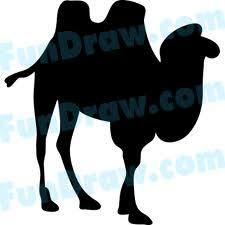 I guess the result had humps like a camel. As many of my readers know, I had a heart attack and subsequent quadruple bypass surgery about a 18 months ago. Since I freelance for the Berthoud Surveyor newspaper, I had a chance to write a column about my recovery. I was surprised that it won third place (class 2 circulation) at this year’s Colorado Press Association awards. So, there I was crammed into a hospital bed that felt about the size of my granddaughter’s youth bed. I was in a room in the intensive (expensive) care unit after having my chest sawed and cracked and my heart re-plumbed. At the pre-surgery orientation, I was asked to estimate my tolerance for pain. Being a guy, I proudly said six or seven out of ten. Later, that all changed as my foggy brain realized what my old body had just endured. Somehow, lying there in my ever-so-fashionable hospital gown (the same design I had almost 60 years earlier when my tonsils were removed) with tubes coming out of places where I didn’t know tubes could be, I thought about the television quiz show Jeopardy. Yes, Jeopardy. 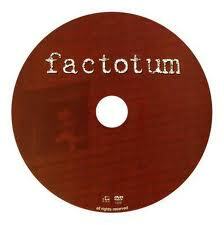 Factotum Not a word I think I have heard before last week’s Northern Colorado Writers meeting. This could be a general servant, a handyman (or handyperson if you prefer)/repairperson or someone who does all kinds of work around the home or office. 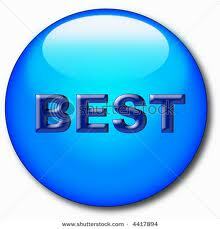 At time, it has meant any employee or official who has many differing responsibilities. The Latin derivation is fac totum, which means to do or make everything.